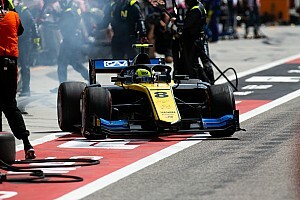 Williams junior Nicholas Latifi overcame a poor pitstop to win the opening Formula 2 race of the season in Bahrain in dominant fashion. 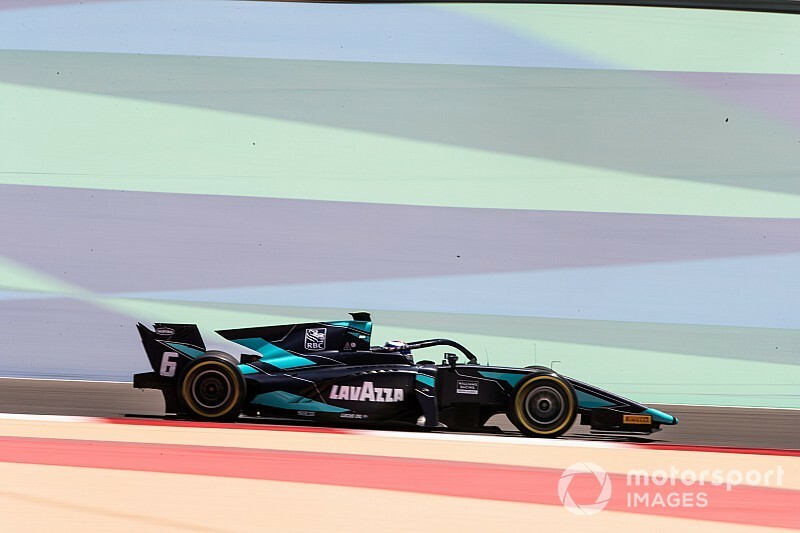 Latifi first took the lead on lap 9 with a precise outside move on Louis Deletraz at Turn 1, but the Canadian lost the lead when he rejoined from a poor pitstop where he lost around five seconds. He was fourth when all the stops panned out but, having fresher tyres than those ahead of him, he made swift moves on Deletraz, Nobuharu Matsushita and Nyck de Vries in three consecutive laps at Turn 1. Latifi then rapidly pulled away as the aforementioned trio continued to struggle and lose further positions. Pole-sitter Luca Ghiotto recovered to second after an adventurous race, the Italian dropping out of the victory fight on two occasions. 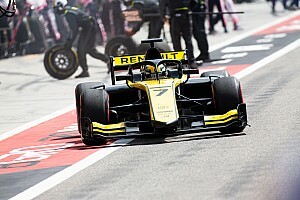 He first reported problems with his clutch as he came close to stalling his Virtuosi car ahead of the formation lap, and then dropped to sixth in the actual start. However, he fought back to second in the first stint of the race, only to drop back to sixth again in the pitstops. Ghiotto moved up the order once more to secure second, albeit 8.7s behind Latifi, with the Canadian's DAMS teammate Sergio Sette Camara completing the podium. Reigning GP3 champion Anthoine Hubert took an impressive fourth ahead of Deletraz, who passed the struggling De Vries for fifth on the last lap. 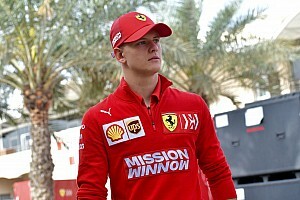 Jack Aitken finished seventh as Mick Schumacher salvaged eighth on the final lap by passing Nobuharu Matsushita, another driver who massively struggled in the late stages, losing 5.7s in just one lap. Matsushita had to settle for ninth with Guan Yu Zhou scoring a point on his F2 debut. Sean Gelael was the only driver to retire, the Prema driver spinning out at Turn 1 as his DRS stayed open under braking while running inside the top 10.